SB 229 – Repeals the provisions of Senate Bill No. 271 of the 2011 Session. This bill repeals SB 271, which withdraws Nevada from the Tahoe Regional Planning Compact. The stated goals of SB 271 have been accomplished as a new TPRA regional plan has been passed. Repealing this legislation will recommit Nevada to ensuring the protection of one of Nevada’s and the nation’s greatest treasures. If you don’t know are your representatives to go Who’s My Legislator? Trees have always been a key symbol of the environmental movement and there are many like-minded organisations devoting considerable time and energy to planting trees. 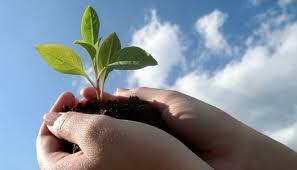 However, a valid question to pose to any tree planting organisation is why dedicate time and resources to plant trees? Some reasons to justify this are obvious, some not so. Below are some key factors that attempt to show trees are more than a token symbol of environmentalism, they are in fact key components to global ecosystems. Trees act as natural filters of our air. Through the process of photosynthesis trees absorb carbon dioxide (a key greenhouse gas and principle contributor to global warming) from the atmosphere and store the carbon in their trunk, branches, leaves, roots, soil and foliage, while releasing oxygen back into the atmosphere. The debate about the use of trees for climate change mitigation has been somewhat heated over recent times, however there is a solid consensus emerging from sound scientific studies that under certain conditions trees do provide a viable means for the net removal of CO2 from the atmosphere. A fundamental requirement for all animals is a supply of oxygen. Through the process of photosynthesis, trees and other vegetation supply us with this vital gas. One mature tree produces enough oxygen for 10 people to inhale in a year. Up to 90% of all terrestrial animals live in association with forest habitats. In simple terms, the less trees the less viable habitat for many species. This will ultimately lead to species extinction, first locally and in many cases globally. Through the restoration of native forest you are providing new or improved habitat for a number of animal species that rely on forests for food and shelter. The animal diversity not only improves in areas that have undergone restoration; plant life equally benefits. Once a framework of tree species is established nature takes over and many additional plant and tree species will regenerate naturally through actions such as seed dispersal facilitated by the increased presence of birds and mammals. The removal of trees from the landscape can have disastrous repercussions in terms of making such areas more prone to landslide. Erosion control most frequently involves the planting of tree, shrub or grass species. The roots of the vegetation bind the soil and prevent erosion. The instance of flash flooding has been shown to be reduced by the presence of forests. Also in areas prone to drought the addition of trees to the landscape can aid in the conservation of precious water resources. Trees slow down water runoff after periods of heavy rainfalls and help to recharge underground water-holding aquifers. Community work is a great way to build your resume and your skills. When you volunteer, you’ll have the guidance of employees who are specialists in their fields. One of the best ways to learn is through experience. What better way to gain experience than to work at an organization hand-picked to fit your needs and interests? Many educational experiences can’t be taught in a classroom. Nonprofit organizations are the driving force behind social change. Everything from local, grassroots activism to international politics requires the efforts of nonprofit organizations. And nonprofits can’t function without the energy and input of volunteers like you. Community involvement is one of the best ways to feel connected to your community. By the simple gesture of offering your skills and enthusiasm, you will positively impact other lives, as well as your own. Check the internet for a local group that needs your knowledge, and people power for important projects. Make it a point to at the least volunteer one time a year or more. The American Evergreen Foundation is a proud supporter of wind energy and working hard to help get the word out. Wind energy plays an integral role in California’s electricity portfolio. In 2007, turbines in wind farms generated 6,802 gigawatt-hours of electricity – about 2.3 percent of the state’s gross system power. Additionally, hundreds of homes and farms are using smaller wind turbines to produce electricity. On Tuesday, April 2nd, the Senate Committee on Natural Resources will hear the Save Tahoe Bill, which calls for the total repeal of SB271. Special interests are fighting to remove 40 years of environmental protections from one of the most beautiful and fragile bodies of water in the world. If we can make sure that our legislators know that Nevadans care deeply about this issue, and that we stand with them, it won’t matter what those interests do. We can win this fight. But only if we act. If you haven’t done so yet, please click on the “act now” button and tell the members of the committee to vote Yes on SB229, the Save Tahoe Bill. Forward the message to your friends. We need to show up in force for this one. Attend the Tuesday’s hearing if you can, or watch it through the Nevada Legislature’s online feed. Follow @NVconservation as we live-tweet the hearings. Share our Facebook posts that link to this email action. Sign our petition. It’s go time. Pass it on. There is no doubt for many the thought of giving, simply the ability to give is out of the question in these hard times. In fact many are in great need of help themselves. For those, we give our blessings and well wishes as most find the times we are in to be so very difficult. For those who might be in a more fortunate situation to consider giving this year, we hope you might consider a gift to help in the support of our environment. The American Evergreen Foundation, established in 1996 is a nonpolitical, non-profit organization that focuses on environmental/conservation education and brings people and communities together in positive “Conservation through Participation” education and hands-on grassroots projects. The American Evergreen Foundation, is operated and maintained by an all volunteer staff and 100% of all gifts in the form of a donation are dedicated to environmental education and hands-on conservation projects. The American Evergreen Foundation offers many different options in regards to giving a donation. We hope you might consider supporting are never ending effort to educate, enlighten and involve. Help us reach our goal to leave a healthier environment for the next generation, and the next.